St. Vincent kicked off her Digital Witness tour Wednesday night at New York's Terminal 5 with a message for those in attendance: No phones. Embed your body, she asked, not a Twitpic, Instagram or Vine. And it worked: hardly any glowing screens could be seen throughout her two-hour set. 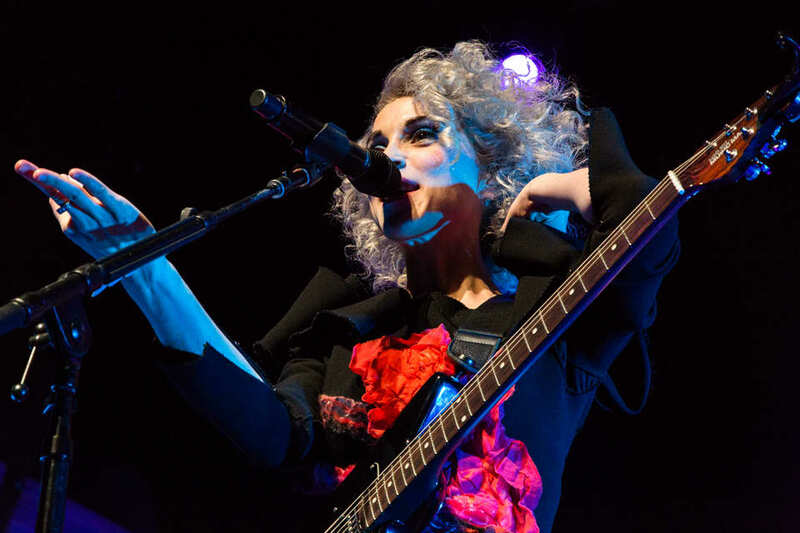 But it's no surprise she can command attention: St. Vincent, aka Annie Clark, is fast becoming one of the the more captivating indie-rock performers today. The show featured mostly tracks from her self-titled fifth album, a funk and synth-heavy effort released this week. The tunes find a generally stoic Clark incorporating choreographed dance moves into her live show for a handful of numbers, including her single "Digital Witness" and the album opener, "Rattlesnake." But the most compelling aspect of Clark's show is the guitar. During many of her songs, she's rather restrained, focusing on the vocals, but as the tunes start to taper off, where the grooves are reaching a point of redundancy, she breaks out and finishes with blistering, shred-heavy guitar solos. On new cuts like "Birth in Reverse" and "Huey Newton," she played with heavy distortion and feedback, but in quick, jagged turns that were utterly captivating. That sense of experimentation found their way into older tunes, too: "Surgeon" benefited from a slower, more oozy tempo but was capped off with a squeaking solo that sounded like a theremin on steroids. Still, the tour highlight isn't one featuring dexterous shreds. 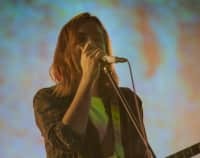 Rather, it's the one-two punch of new songs "Cheerleader" and "Prince Johnny" wherein Clark stands perched upon two white blocks with nothing but a mic stand, the guitar and her vulnerability. Last night, she appeared statuesque and sung about how she's seen "America with no clothes on." It was a moment to be captured and remembered, but not through a screen.